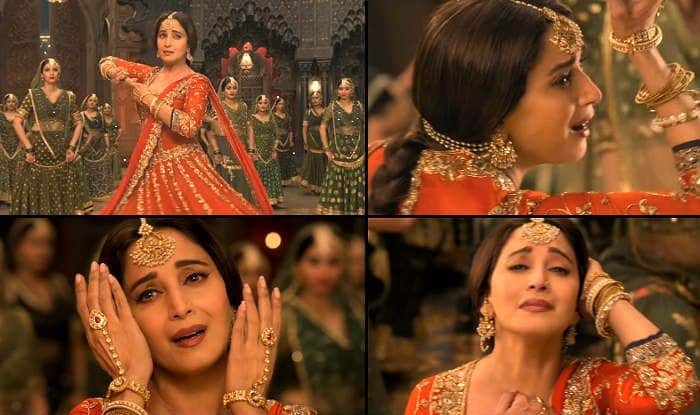 Watch Tabaah Ho Gaye Song From Kalank: Madhuri Dixit is Magic, This Can’t be Missed! Here's the much-awaited song from Kalank - Tabaah Ho Gaye, featuring Madhuri Dixit in all her glory. Sung by Shreya Ghoshal, the song looks magical. The much-awaited song from Kalank featuring Madhuri Dixit – Tabaah Ho Gaye, is out now. As expected, it’s a visual treat for the fans of Madhuri as the actor is seen performing some stunning classical dance moves. Tabaah Ho Gaye is a soulful classical dance number in which Madhuri’s character, Bahaar Begum, is expressing her pain after being separated from her lover. The lyrics of the song are written by Amitabh Bhattacharya while the music is composed by Pritam Chakraborty. The voice to the gorgeous track is given by Shreya Ghoshal, who also crooned for Kalank’s another popular number – Ghar More Pardesiya. The song has been beautifully choreographed by Saroj Khan and Remo D’Souza. As revealed by Madhuri earlier, it is quite ‘poignant’ to the narrative of Kalank and emerges at a very important time in the story. The actor said that it shows the past journey of each character getting unfolded beautifully. Tabaah Ho Gaye was anticipated for being a solo number picturised on Madhuri. It’s for the first time that the actor can be seen spreading the magic of her moves for a film produced by Karan Johar‘s Dharma Productions. Madhuri looks ethereal in the song. She was also seen in Ghar More Pardesiya with Alia Bhatt. 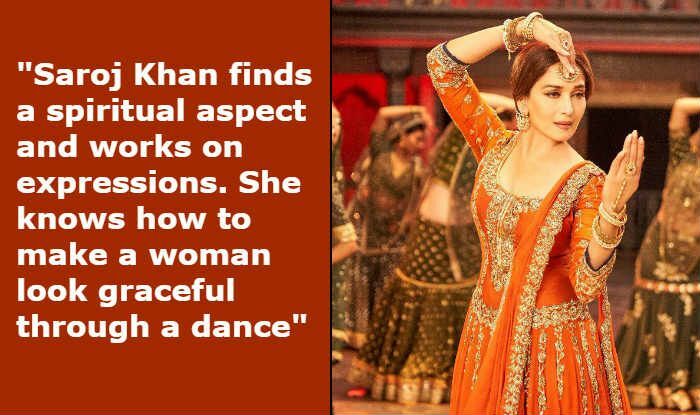 However, that track was all about Alia’s elaborated dance sequence; Madhuri could be seen praising Alia’s character Roop in the song. Earlier, in an interview with Mumbai Mirror, Saroj Khan had revealed that there’s another song featuring Madhuri breaking into a dance upon seeing Varun Dhawan’s character Zafar entering her kotha. The song, as she revealed, has been titled as ‘Tadap.’ We wonder if that’s the next song the film’s team is preparing to release! Directed by Abhishek Varman, Kalank also features Sonakshi Sinha, Aditya Roy Kapur and Sanjay Dutt in important roles. The film is set to hit the screens on April 17.